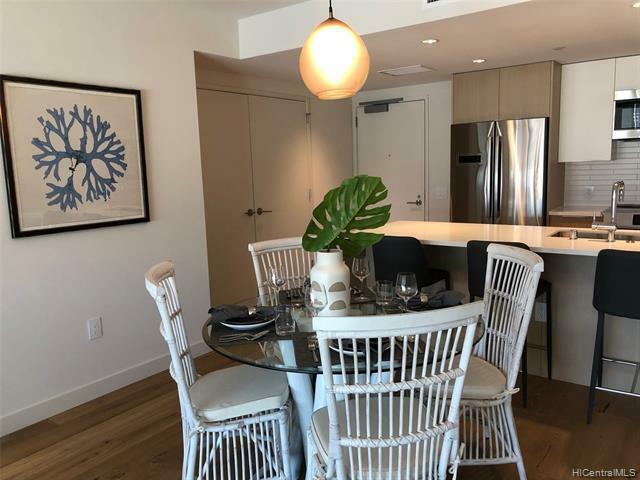 Spectacular ocean and city views from this BRAND NEW Aeo 36th floor 1bd/1ba/1pkg unit in the upscale, newer community of Ward Village! 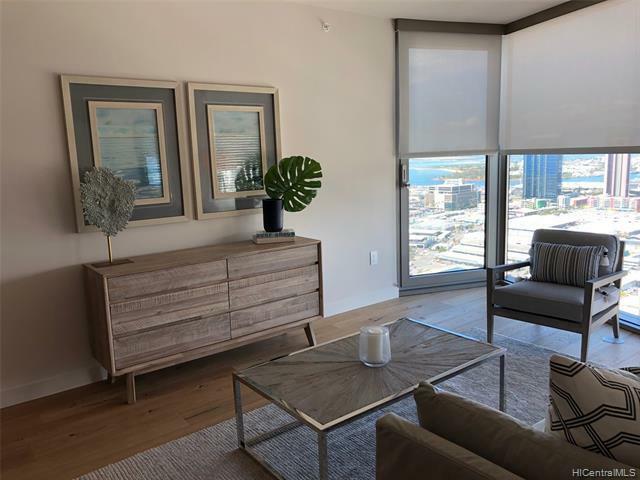 Unit includes engineered hardwood flooring, stainless steel Bosch appliances, Central A/C, and more! 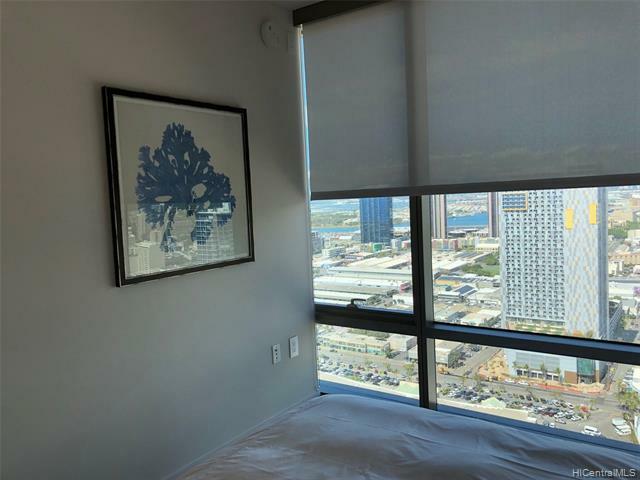 Fitness center, sauna/steam rooms, pool, rooftop terrace, meeting room, BBQ area, concierge, security, and so much more! Direct access to Whole Foods just downstairs! 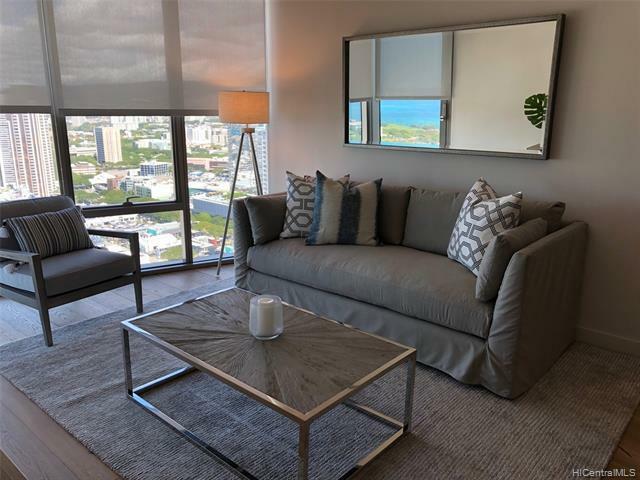 Walking distance to theatres, dining, shopping, and world-famous Ala Moana Shopping Center and beach park. Sale to include newly delivered furniture!